The idea that cover crops help aid in soil health is as old as the Mississippi hills. In fact, before commercial fertilizers were available, legume cover crops were a mainstay in the crop rotations of many Mississippi farmers. Cover crop research endures in the Mississippi Agricultural and Forestry Experiment Station. Researchers are exploring novel ways to utilize cover crops in the improvement of soil health and while cover crops aren’t for every farmer in every field, the research indicates that cover crops offer benefits in certain situations. 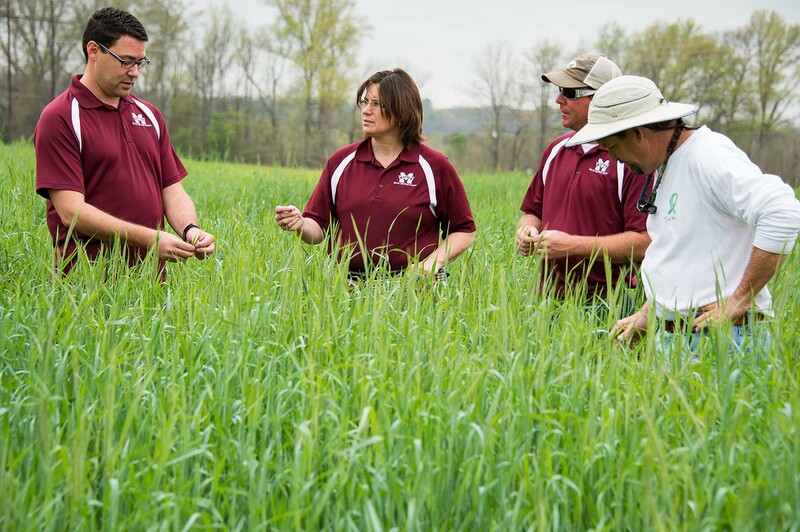 Dr. Jac Varco, MAFES scientist, professor and Triplett Endowed Chair in Agronomy in the Department of Plant and Soil Sciences, is a cover crop authority researching how poultry litter coupled with legumes can improve soil properties and nitrogen availability. Dr. Casey Barickman, assistant research and extension professor at the North Mississippi Research and Extension Center in Verona, is evaluating how cover crops can help organic, naturally-certified, and conventional vegetable producers across the state. 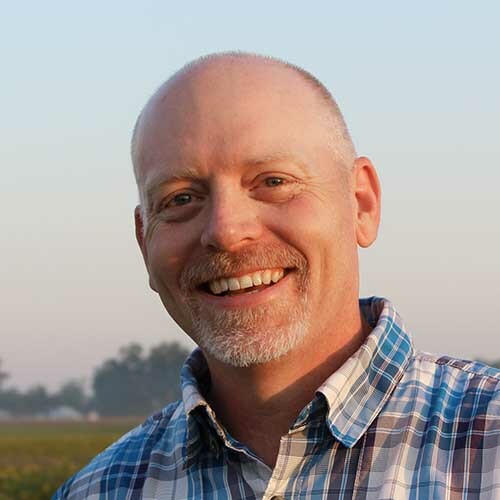 Dr. Jason Krutz, associate extension and research professor at the Delta Research and Extension Center in Stoneville, is focused on how cover crops might help solve a specific soil issue common throughout the Mississippi Delta. These researchers are leveraging decades of knowledge and know-how in order to find innovative ways to utilize a system that has a long standing history in the Magnolia State. Jac Varco thinks of sustainability in three ways: ecological, economic, and agronomic. While he says it’s vital to consider the environmental sustainability and the health of the producer’s bottom line when considering best practices in agriculture, much of his research focuses on soil health which is all about agronomic sustainability. “Agronomic sustainability means the producer is engaged in practices that promote soil health to ensure long-term productivity,” Varco said. In his current research, Varco is trying to determine ways to improve soil health through the use of cover crops and poultry litter. The research, which has been conducted over the past five years, is focused on quantifying fertilizer nitrogen equivalence from the application and utilization of poultry litter and cover crops. The research plots, located at the W.B. Andrews Agricultural Systems Research Farm, are 40 feet long and four rows wide with 38 inch row spacing. The plots are strip-tilled, which only disturbs the middle of the row. Treatments include poultry litter applied in the fall, either alone or within a system that includes a cover crop. Researchers evaluated both hairy vetch (a legume cover crop) and rye (a cereal cover crop). Varco explained that since poultry litter is applied in the fall by the time row crops are planted in the spring, the nitrogen benefits from poultry litter have greatly diminished. His team is trying to determine if the application of poultry litter combined with cover crops will increase the amount of nutrients, specifically nitrogen, available to corn plants in the spring. Legumes convert atmospheric nitrogen into nitrogen that plants can use by way of symbiotic bacteria called rhizobia located within the nodules of the root systems of the legumes. In addition to the added benefits of cover crops, like improved soil health, erosion control, weed suppression, and improved water infiltration, Varco’s research indicates poultry litter and legume cover crops work well together to help provide nutrients for corn plants that are planted in the spring. Casey Barickman is focused on helping more than 1, 200 vegetable producers throughout Mississippi. His team is studying the benefits of the cover crops vetch and rye in no-till vegetable production systems. Barickman said the soil tillage practices of many current vegetable producers can damage soil physical properties and oxidize soil organic matter. He said no-till is an option for producers to explore. Barickman said the team studied the effect of cover crops in a no-till system in tomatoes and pumpkins last year. The project, in its second year, has changed and expanded in scope. “We are still studying tomatoes but have replaced pumpkins with summer squash this year. We also added a second location and two spring planting dates,” Barickman said. The vetch and rye cover crops were planted in September and terminated in early April. The team planted the tomato and summer squash vegetable crops over two planting dates, the first in mid-April and the second in mid-May, in two locations: the Northeast Mississippi Branch Experiment Station in Verona and the Truck Crops Branch Experiment Station in Crystal Springs. Barickman discussed how vetch and rye, as two different types of cover crops, each bring something unique to the soil. The research team hopes to examine how cover crops in no-till production systems benefit soil physical and chemical properties, vegetable yield and quality, and how the system might influence factors like weed control and water infiltration. The team terminates the cover crop through a process called rolling and crimping and then plants the vegetable crop right into the bed. “Our rolling and crimping implement is a large cylinder with steel braces that rolls over the crop crops, crimps the stems, and flattens the terminated crop into a nice weed mat. After that, a modified vegetable transplanter that uses a large coulter to cut through the cover crop from the planting area makes a small cut where the vegetable seed or transplants are inserted, and then closes back around the planting area. Closing that gap means better weed control throughout the season,” Barickman explained. 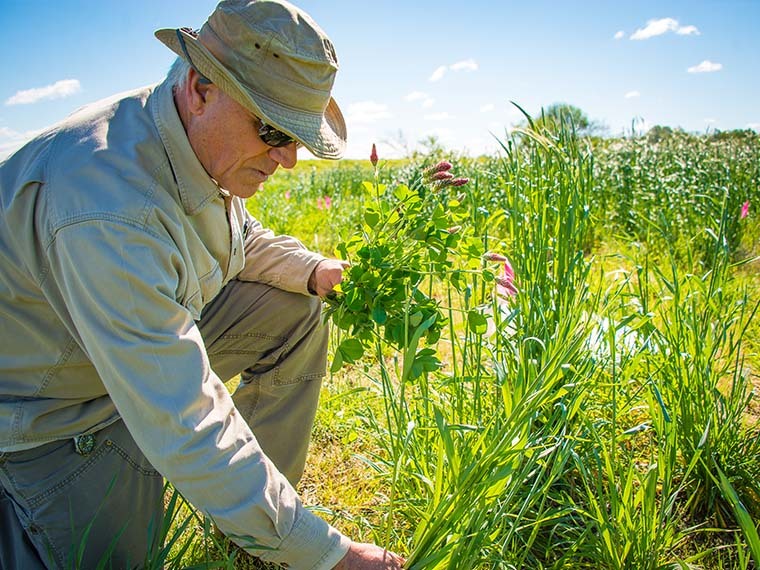 Barickman pointed out while plenty of organic and certified-naturally grown producers already have some kind of cover crop plan implemented on their farms, any vegetable producer can potentially reap benefits from a cover crop system. 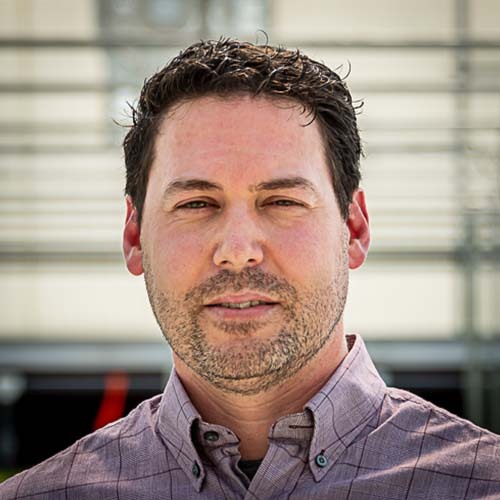 Jason Krutz is researching whether specific tillage and cover crop practices will help solve the specific problem of crusting in silt loam soils. “Our silt loams have a tendency to crust because the size and percentage of silt in the soil surface and the depletion of organic matter. These soils are increasingly becoming less and less productive.” Krutz said. Krutz said that loss in productivity is typically the result of poor soil health. “Silt loams are traditional cotton soils and oftentimes they’ve been farmed for more than a century in continuous cotton. They consist of less than one percent organic matter because they have been farmed for so long,” Krutz explained. The formation of a crustal layer on the soil results in less irrigation efficiency. “If we can find a way to improve the organic matter, then we can reduce crust formation and improve irrigation efficiency,” Krutz said. 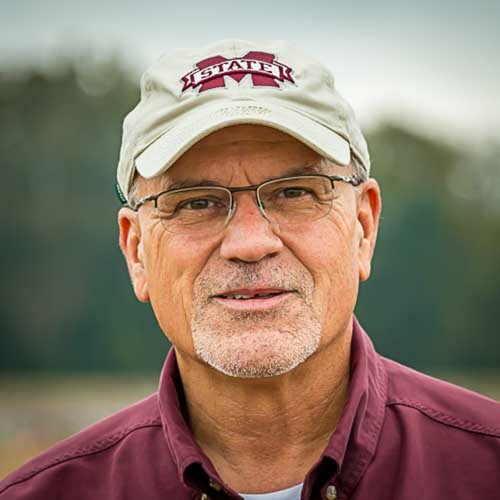 Krutz and his team evaluated four treatments: conventional till with no cover crop; reduced till; reduced till with a rye cover crop; and zone tillage, a practice that disrupts an inch or two of soil in the furrow. The research plots were eight rows wide and a little over 400 feet long. Each row was instrumented so researchers could meter water using flow meters. The plots also had an auto sampler that collected all the water to measure runoff and build a hydrograph that included subsamples and a composite sample. Nutrient transport in relation to water quality issues was evaluated. Krutz pointed out that while the research demonstrates that these conservation tillage systems could help prevent the crusting of silt loam soils, the solution might not translate to other systems. Passion At Work: Overall it is my intent to develop crop production systems that improve soil quality over time, minimize environmental consequences, reduce energy consumption, all while improving the producer’s stewardship of the land and profitability. Passion At Work: The reason I pursue this research is to advance the scientific knowledge of vegetable physiology, improve the sustainability and production efficiencies of our vegetable producers, and ultimately enhance the economic return for farmers and industry. Passion At Work: Fresh water is the most precious natural resource we have and the most pressing research problem regionally, nationally, and internationally. Now is the time to solve this problem from a societal and producer standpoint.